Murders unfortunately happen all over the world as well as in the United States. 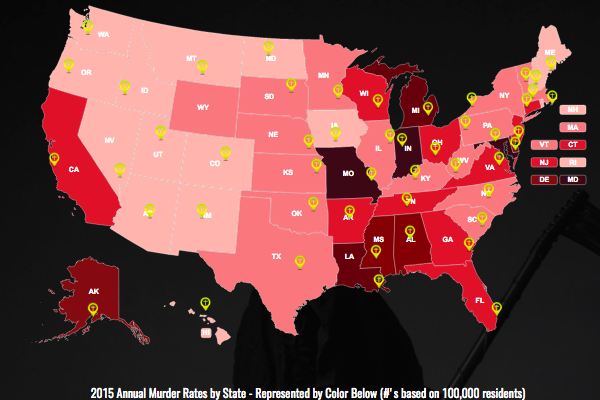 In this interactive map, we show the “murder capitals” of every Us state. A few states might surprise you with there homicide ranking. According to this map, you might feel a little safer living in the Western States!